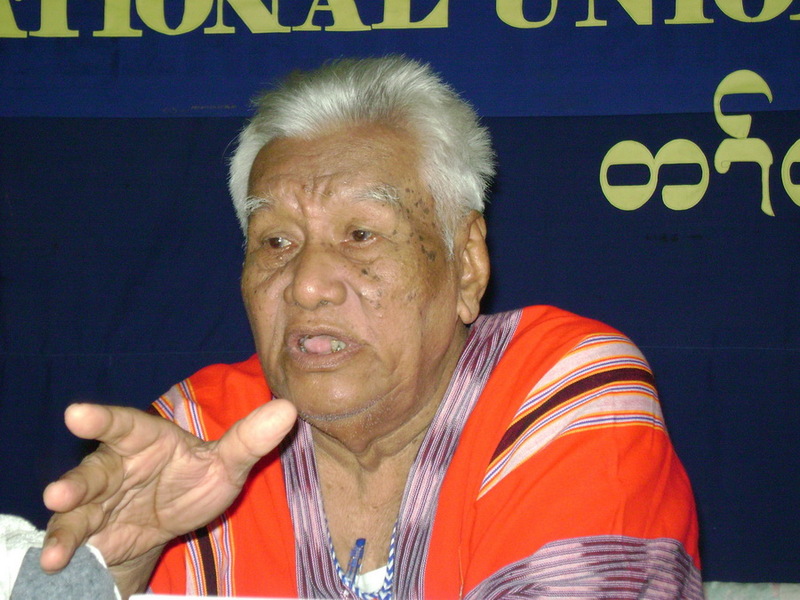 The Karen National Union (KNU) chairman General Saw Tamlabaw used his Karen National Day speech to warn Karen people to be both cautious and united during the ‘peace talk’ that could resolve the 63-years civil war. Saw Tamlabaw said if the government really wants to have change in Burma they have to gain the trust of the people by their deeds. About 400 Karen civilians, members of the KNU and soldiers attending the meeting in the southern Karen region know as Mergui-Tavoy District or Tenasserim Division in Burmese. The Karen National Day marks the historical day when 400,000 Karen people held a peaceful protest in Burma in 1948, the large protesting crowd at the time demanded an equal say and pay. Slogans used during the protest were – “Give the Karen State at once”, “Show Karen one Kyat Burmese one Kyat”, “We don’t want ethnic conflict” and “We don’t want civil war”. More than sixty years later and the Karen are still struggling. Speaking to this year’s crowd of Karen people gathered for the Karen National Day, Saw Kwe Htoo Win, and chairman of the KNU Mergui-Tavoy District told them. Saw Kwee Htoo Win said the four slogans voiced by the Karen people 64- years-ago are still relevant today and their voices demanding ethnic equal rights, peace and unity are still strong. Following the KNU and government delegations preliminary ceasefire arrangement signed on January 12, Burma Army reinforcements, ignoring KNU warnings, used side roads and detonated Karen landmines killing six soldiers. Saw Tamlabaw warned if the Karen people did not work together and the government was serious about real political change it would continue the 64-year-old civil war.